Good morning readers, here is a bread that I baked the weekend to use for Pan Con Tomate ( Bread and Tomatoes but the first we way sounds poncier hehe ). 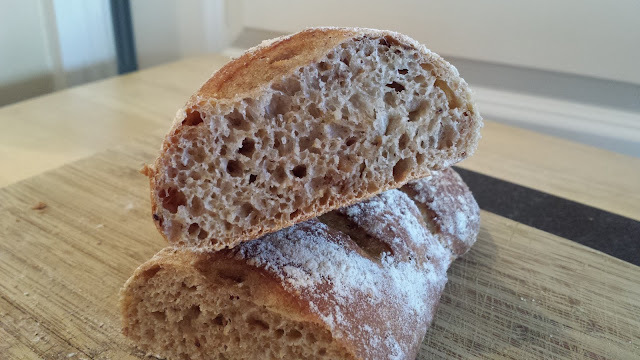 This bread unlike last weeks no knead will require some kneading and time. I hate saying time cause I hate having to wait for bread to proof etc but sometimes the best of breads take hours in order to develop flavour, so I will excuse it on this occasion. However like last week this bread is simple, I cannot stress how easy it is to make bread, it gives you so much satisfaction and is far better than what you would buy in the supermarket. Before I get in to the recipe its worth noting here than I am using malted bread flour with the reason being is malt produces a better proofed bread at the end giving a beautiful flavour. Malt has certain enzymes in it which breakdown the starch in the flour to a simple sugar. Sugar is one of the most important things when baking bread as yeast survives on it and also gives bread a good crust colour. Normally you would add the enzyme through something called Diastatic Malt Powder but using malted flour also works if you use it in full. 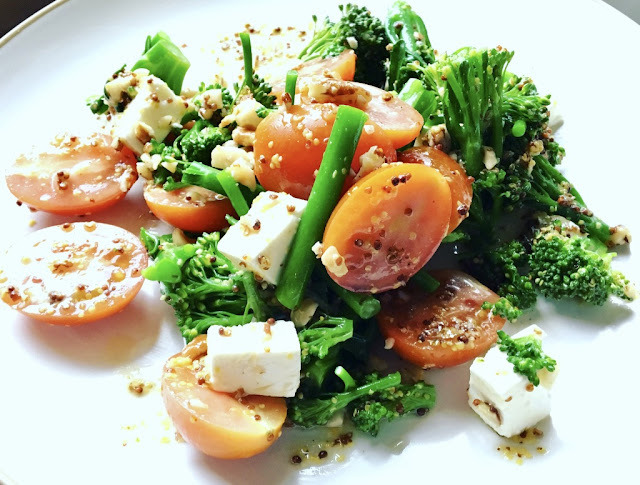 The following recipe has been adapted from Wild Yeast blog whom of which I love, check them out here. In a bowl, combine the poolish ingredients. Cover and let ferment for 12 – 15 hours, I left mine the full 15 hours. Combine all of the final dough ingredients except about 10% of the water. Mix with your hand to incorporate the ingredients, adjusting the water as needed to achieve a medium dough consistency. Transfer the dough to a lightly oiled container. Cover and ferment at room temperature for about an hour and 15 minutes. Turn the dough into a lightly floured counter. 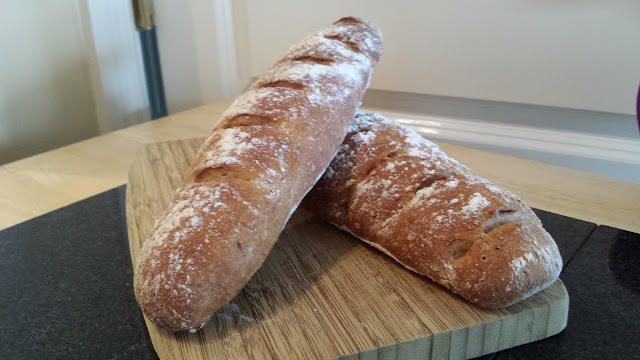 Divide into three pieces, baguettes 45cm long. Preshape each piece into a cylinder, cover. Meanwhile, preheat the oven to 240c/220c(fan)/475F/Gas mark 9. Place a tray in the bottom of the oven and pour in about 1 litre of boiling water from the kettle, this will create steam which aids a good crust. Once the loaves are in the oven, reduce the temperature to 220c/200c(fan)/450F/Gas mark. Bake for 7 minutes with steam ( removing the roasting tray of boiling water, BE CAREFUL YOU DONT BURN YOURSELF! )and another 10 minutes or so without steam. Then turn off the oven and leave the loaves in for another 5 minutes, with the door ajar, to let the loaves dry for a crisp crust. Thanks for reading, let me know if you make this bread I love it.